In February 2006, David Rusenko embarked on a classroom project to help a friend create a website for her astronomy class. 10 years later that 'little' experiment has turned into a $455 million dollar company responsible for hosting over 30 million websites reaching more than 250 million people every month. Weebly marks its 10th year this month. How did you start, and what has the experience been like for the past 10 years? 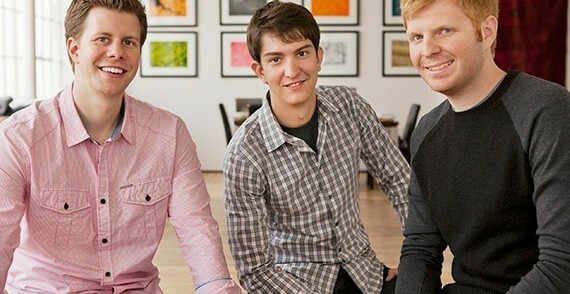 Weebly started as a class project at Penn State. I wrote the first line of code in February 2006, after seeing a good friend, Jordan, struggling to create a website for her astronomy class. Soon we realized that many people, most specifically entrepreneurs, needed to create a website or e-commerce store but didn't know code. What started with 3 people (myself, Dan and Chris) has now grown to a 300 person team, and Weebly now supports over 30 million entrepreneurs whose sites reach over 250 million people per month -- just in the US, that's over 33% of the population that visits, comments or purchases from a Weebly site every month! Your business is currently worth about $455 million, and you have stayed cash-flow positive for the last six years. How did you do it? We've always focused on building a sustainable business since we officially started the company in 2007. We went through turbulent economic times in 2008, and we've learned the value of sustainable growth, making sure your unit economics are sound, and growing the team at a deliberate pace. 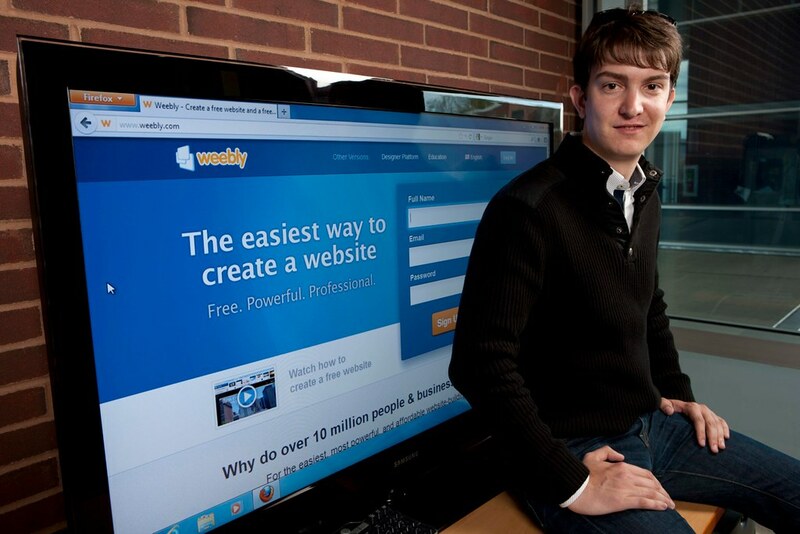 More than 30 million people have created a site with Weebly. What makes you stand out from the competition? There are a few things that really differentiate us. First and foremost, Weebly is the absolutely simplest and easiest way to create a website or e-commerce store. It's intuitive, understandable by techies and non-techies alike, and literally anyone can have something online within 5 minutes, and a completed site within a few hours. No matter your level of technical expertise, you will be successful building your business online with Weebly. Second, Weebly is the only publishing and ecommerce solution that is truly multi-platform: you can create a website or ecommerce store from scratch from your phone or tablet; it's a complete experience, and not a "companion" app, so you aren't tethered to your desk anymore and can create, update and manage on the go. You started Weebly at a young age of 21. How were you able to combine the demanding process of growing a start-up with your College Education in Pennsylvania State University? I was actually 20 when I started Weebly! It turns out that college students have a lot of time on their hands, and managing the demands of classes, a start-up, and a social life is entirely possible if you manage your time well. Why haven't you touched your funding since 2009? In March of 2014 we raised $35M from Sequoia and Tencent, and we haven't spent any of it yet. We raised the money for a reason -- and we fully intend to invest it diligently -- but the business is growing quickly and we aren't going to spend it foolishly just because it is there. You are listed as an Angel Investor, investing millions of dollars in about six other companies/ Do you just love diversification, or is it your own way of giving back to society? I have personally found the journey of entrepreneurship to be incredibly rewarding, and I love to encourage and help others achieve that dream in many different ways. First, Weebly's mission is to help the world's entrepreneurs succeed, and we aim to provide a platform that removes technology as a barrier to starting a company, and in the process encouraging more people to do so. Second is by investing in other start-ups, like Zenefits, Cruise, Parse and Cue. And third, by creating scholarships at Penn State to encourage others to pick up the entrepreneur's journey. Your life is full of activities especially traveling, sky diving and even being a fighter pilot. How do you combine your work and leisure? I believe strongly in work-life integration. I am working nearly all of the time, but I also believe that without any leisure time, you will eventually burn out. I have lots of hobbies, including scuba diving, stunt driving, sailing, travelling, and cycling. I also really like to learn, and most recently am learning and falling in love with bridge -- it's a deceptively difficult game to master! 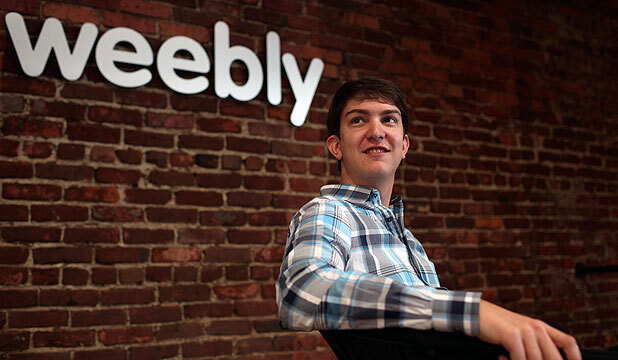 Where do we expect to see Weebly in the next few years? Over the next few years, you will see Weebly continue to execute on our core mission: to help the world's entrepreneurs succeed. Building a website and e-commerce store is the most urgent technology challenge that an entrepreneur faces, but there are many more technology challenges. Ultimately, we aim to provide a complete platform to help people start, manage and grow their businesses successfully, to level the playing field by taking away technology as a barrier, and the enable many more people to pursue the entrepreneurial dream. What is your advice for young entrepreneurs who are just starting out? My best advice sounds asinine, but surprisingly few people will follow it. First, just get started -- 90% of people with an idea will never execute on it, and by jumping in with both feet and starting to work on your idea, you are already well ahead of most. Second, don't quit -- Y Combinator has found that perseverance is what distinguishes the top entrepreneurs, not intelligence. Thanks David for sharing your experience with us. Thanks Toby, and enjoy your week!